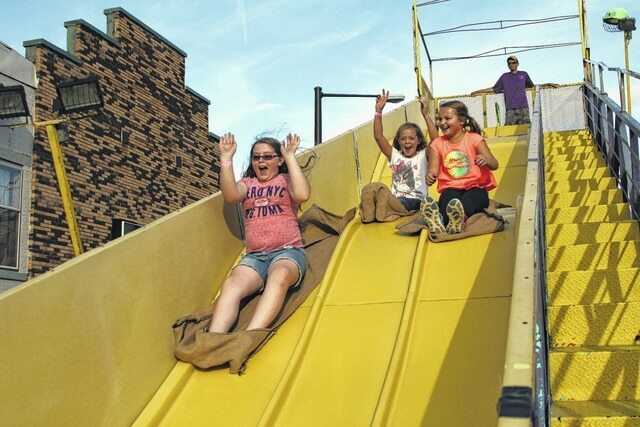 GALION — Be prepared for traffic disruptions, the aroma of fair food and the sound of music starting Thursday in Galion as the city will celebrate Oktoberfest in the uptowne area. Thousands will visit Galion to listen to live music each evening on three stages and visit with friends. Thursday evening’s entertainment will include performances by the John Kennedy Orchestra, Semer Brothers and Jane Horton. On Friday evening, Ashland’s Jessica Hannan and local favorite the Crazy Gringos will be the headliners. On Saturday, the downtown area will really be rocking, as the music starts at 1 p.m. The evening’s headliners include Trust, Electric Circus and the Frank Boyd Jr. Blues Ministry. There will be plenty of food vendors and craft booths set up along Harding Way. The kids rids, as always, will be set up in and around the square. New this year is the fact some merchants will be taking advantage of a new city lordinance that allows restaurants to set up on sidewalks in front of their Harding Way businesses, giving festivalgoers a chance to take in the sights of Oktoberfest from new vantage points while enjoying a bite to eat or something to drink. Also, the uptown are is closed to traffic through early Sunday morning. The closures beginWednesday, around noon.